Desert Rose Designs carries an assortment of the finest gifts, boutique clothing, home decor, and a variety of locally made products. 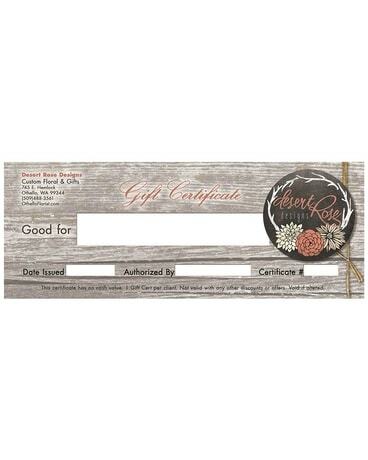 With our gift certificate, you can give the gift of shopping and the recipient can come in and pick out the perfect item for themselves! Click on our Facebook or Instagram link at the top of the site to see updates of our most popular items.